In celebration of Mother’s Day,and following the success in previous years, we are launching three weeks of ‘Bring your Mum/Grandma to Breakfast’ and share a storey with them. This event is also being held in support of World Book Day. World Book Day is a celebration! It's a celebration of authors, illustrators, books and, most importantly, it's a celebration of reading. In fact, it's the biggest celebration of its kind, designated by UNESCO as a worldwide celebration of books and reading, and marked in over 100 countries all over the world. 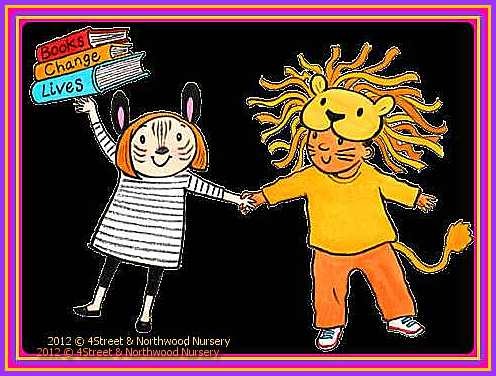 In addition to the mums to breakfast event your child is welcome to dress as a character from their favourite book on Thursday 1st March. Please don’t worry if you don’t have a costume, all the children will be involved in great activities related to books, promoting the joy of reading all day. Breakfast time is 8.00am – 8.30am and Mum’s/Grandma’s will be welcome to stay until 9.00am to share a book with their child after breakfast. Children who have a session that normally starts after 8.30am will be welcome to come into nursery at 8.00am with their Mum or Grandma on their chosen day. Thursday 1st March 2018 and Wednesday 21st March 2018.